Okay, lets start with first things first. I. LOVE. SHOPPING. but I'm super particular, I just love going into a good clean store with pretty clothes and a nice aesthetic and even nicer people. 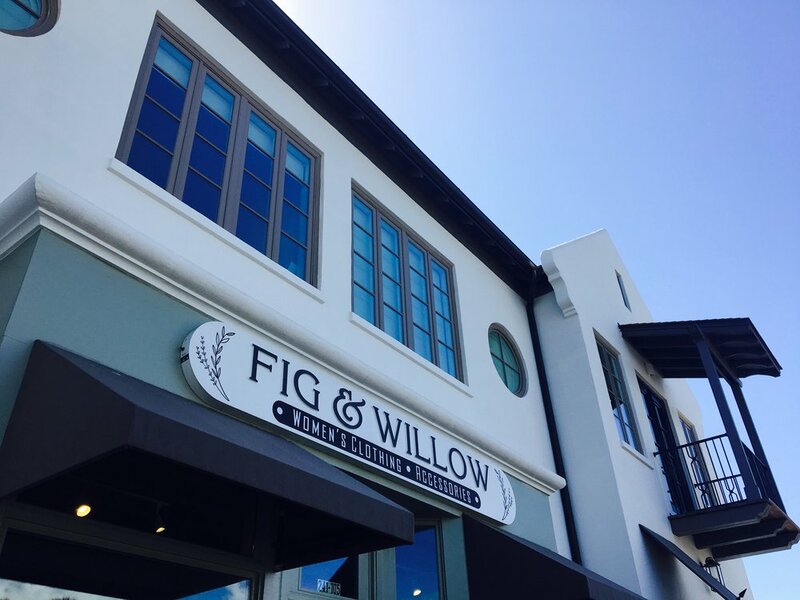 Fig & Willow recently opened in the Neptune Beach Town Center Area near the beaches of Jacksonville, FL. This area is a must see if you are new to the area (I reccomend a dinner date to Flying Iguana or burgers + a beer at Poe's Tavern) and some walking around all the shops. I was so happy to see a new boutique pop-up! 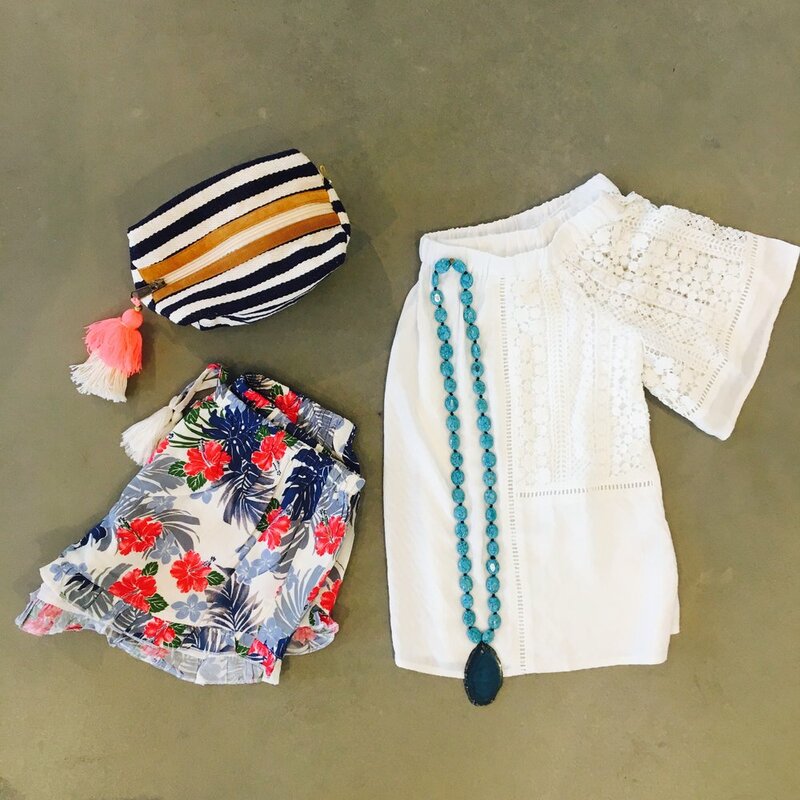 Fig & Willow has that necessary beachy vibe but with a defined fashionista/on-trend POP! This week I got the chance to come in and shop around and try on my favorite looks! My sweet friend Megan (pro photographer and also boss at friendship) came along and did some snapping so I could share my favorite styles that are avaialble in-store now! Plus, this boutique is totally reasonable, everything is super high quality but won't wreck your bank account. All the fabrics were lovely and the staff was so helpful, we didn't want to leave! My automatic go-to is florals. This top was the first piece I picked up and I was not disappointed, the off the shoulder is totally in and the fabric was flowy so this Florida heat ain't got nothin' on my outfit! Black pants are a necessity for anyone's closet, the zipper detail and stretch fit made these perfect to pair with any top! Spoiler alert: I walked out with this top so I'm SURE you will see it again! So soft and so flowy - just my type. 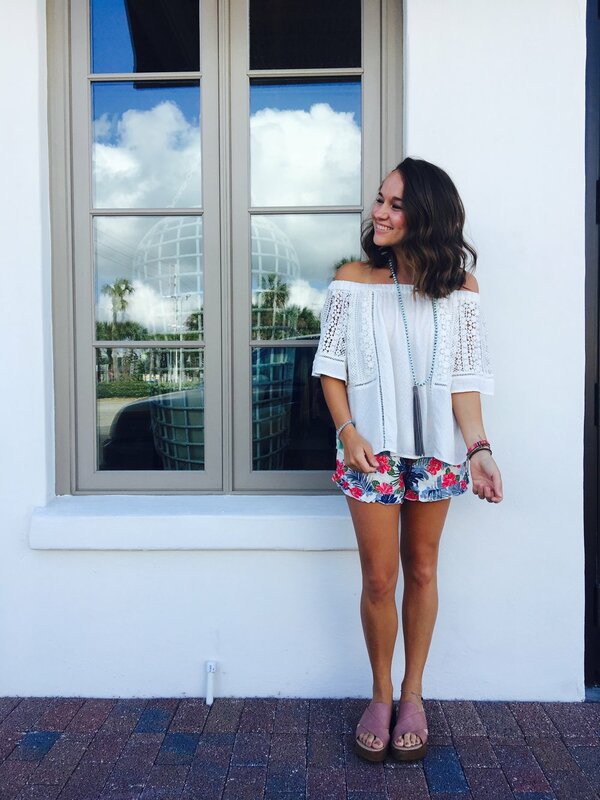 I paired this top with some perfect floral cotton shorts which are always a staple when you live near the beach! Totally great to dress up with wedges or throw on with your bikini top! I had to add in an adorable dress, perfect for a summer wedding or just for a nice girls night. Black and white stripes plus tiny tassel details on the sleeves and the bottom hem, so cute. I hope this cold shoulder trend lasts cause I am loving it, the elastic in the top holds it right up so you're safe with a bandeau underneath (I wore one from the store and it was perfect). If you live in the area or are planning a shopping day, make sure you stop by Fig & Willow! They also have online shopping so those of you at home won't miss out! Whatever event you are heading to, or just looking for something new.....I'm sure you will find it here! Thank you Megan for your company + photos and to shop owner Katie for sharing your shop with us, it was such a fun day! Jun 6 8 Beauty Must Haves!